Travel to Greece is the ultimate cultural travel experience. 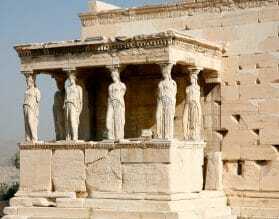 A cradle of European civilization, Homer’s Iliad, Pythagoras’ theorem and Aristotle’s rhetoric are only a smattering of how Greek scholarship has shaped the course of human thought and history. At Exeter International, we focus on cultural travel to Greece that connects to the neighboring Balkan countries of our specialty, Bulgaria and Macedonia. From philosophy to politics to ouzo, the Greeks are vociferous in their love for their country, culture and cuisine. Their passion strikes a delicate balance with languid landscapes of white sandy isles, azure blue waters, ancient ruins, vineyards, taverns, and tiny towns. Never forget that you are in the land of Dionysus! Sip on crisp wines in tiny taverns accompanied by honeyed cheese, black olives, and mussels soaked in ouzo. Explore the ruins of an ancient empire and the contemporary scene of Greece today with Exeter International. 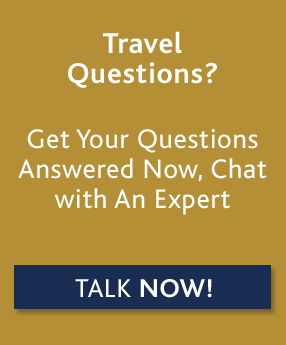 For custom luxury travel and tours to Greece, please contact one of our travel experts, or read on below for more information about where to go and when, along with our Insider's Guide. 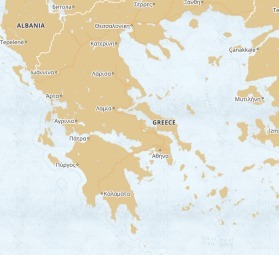 The best time to visit Greece, particularly Athens, is April to Mid May and September. We recommend three days in Athens and sightseeing should include the Acropolis, a walking tour of the Plaka (old town), the National Archaeological museum, the Ancient Agora, the Cycladic Arts Museum or the Benaki Museum. An afternoon to Cape Sounion provides wonderful views of “the Riviera of Attica” and the Temple of Poseidon. Those with an interest in Jewish heritage may enjoy a visit to the Jewish museum which contains more than 7000 items pertaining to the historical life of the Greek Jews. A day tour to Delphi passes Boetia, Thebes and Levadia and includes the Sanctuary of Apollo, the Castalian spring and the Sanctuary of Athena at Marmaria. Also worth including is the village of Arachova, famous for its attractive hand-woven carpets and rugs as well as for its wine and cheese. 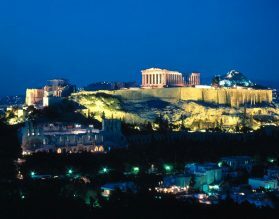 Thessaloniki, once part of the Ottoman Empire, and the birthplace of Ataturk is rich in the cultural history of Greece. A thriving port city today there is Christian, Jewish and Ottoman history to be explored. Our team of travel experts can customize a unique program for you for cultural travel in Greece, based on your exact requirements. If you are on a cruise and in port in Ephesus we can arrange a private shore excursion with your own Exeter hand-picked private guide. Our private shore excursions ensure that you’ll receive not only the best experience possible, but personalized service throughout, allowing you to maximize your time in port.